Our 5 Most Dog Popular Features of the Year Have One Thing in Common, Can You Guess What It Was? As 2016 draws to a close, we have taken a look back at 5 of the most-read features on K9Magazine.com this year. Here's a snapshot of what you wanted to know above all else and there's a running theme through all of it. 1. Why Do Dogs Tilt Their Heads? 2. How Often Should I Worm My Dog? 4. Is Fish Good for Dogs? 5. Why Do Dogs Chew Their Feet? 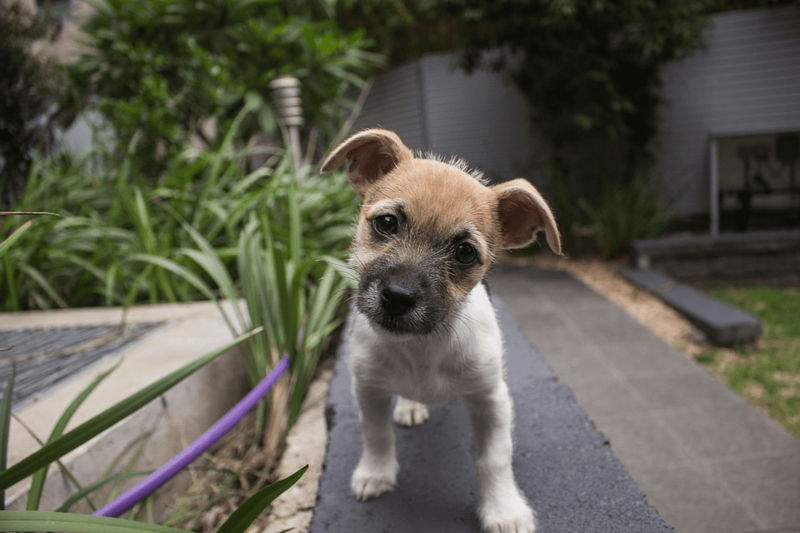 Most dog owners know certain sounds or words (biscuit, walkies and so on) can entice that ever so adorable head tilt action, but what makes dogs do it - is it based on sounds or words or is it something else? This article delves into the subject to explain. When we consider treating our pets for parasites, we do it to make sure they are healthy in all the places beneath the surface that we just can't see. We all know prevention is better than the cure, but we don't always know how often we should treat for certain parasites - how often is just enough. This article gets expert opinion on how often you should worm your dog to keep on top of your dog's preventative healthcare. Shedding can be a real problem for some dog owners and certain times it can feel like your dog only sheds twice a year with each time lasting for six months with no end in sight. There are some things you can do, though, to stem the problem and this article explores these ideas. Exploring the ins and outs of fish oil and its benefits to dogs, this article covers all you need to know if you're wondering if your dog would benefit from a fish-based diet, and some dogs really do thrive! Sometimes when our pets do certain things out of the norm for them we wonder if everything's okay asking ourselves 'should I be concerned?'. Sometimes when dogs chew their feet we worry it's a sign of a problem. This article explains common reasons why dogs might start to chew their feet and when we should be concerned. So there you have it - in no particular order questions dominated some of our most popular features this year, it seems we can't get enough of trying to understand how we can make sure our dogs are as happy and healthy as possible and just what makes them tick!